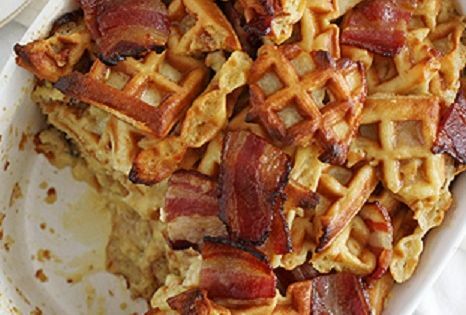 lawd have murrcy-bacon, waffles. maple syrup in a dish, how many pieces of this tasty eatin do you wish?!?! Pink baby shower cake | Flickr - Photo Sharing!